Should You Rekey Or Replace Your Locks In Perth? If you have any issues with your locks you may think that your only solution is to replace them. However, there is also the option to have them rekeyed. This is usually a more cost-effective solution than completely changing your locks. Choose your Home Locksmiths, AMCO Locksmith in Perth as we can advise you which the best choice for your locks is. Here’s how to determine if you should rekey or replace your locks in Perth. If you have been broken into and the entire lock has been damaged it may need completely replacing. An AMCO Locksmith will be able to assess the damage and can tell by looking at the lock what you will need. If it’s come away from the door frame then we will advise you to get a new one. We can supply excellent quality locks and fit them in no time. In some cases the lock may not be too badly damaged and we can offer to rekey instead. This is a lower cost option than replacement. Modern locks are more secure than older ones as they make it harder for criminals to break into. If you are concerned your old locks aren’t providing adequate security you should call us at AMCO Locksmiths Perth. We will come to you and evaluate the lock and will be able to tell if it’s providing adequate security. Rekeying means no repairs will need to be made to the door after replacement. However, sometimes changing the locks is necessary. If you’ve just moved into a new home then you can’t be sure that there aren’t more copies of your keys out there. For peace of mind you can get your locks rekeyed by a reputable Domestic Locksmiths such as AMCO Locksmiths in Perth. We can come to you 24/7 for all your lock related needs. There’s also the added benefit of having several locks rekeyed so that you only need one key to gain access to them all. We can take a look at the lock and recommend either rekeying or replacing the locks to increase security at your home. 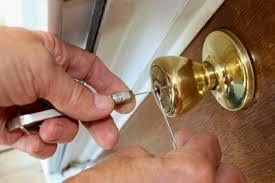 If you don’t know whether you need your locks replaced or you can opt for rekeying contact a skilled Perth Locksmith. Here at AMCO Locksmiths we have a lot of experience and can evaluate your damaged or old locks and advise which method would be best. We can rekey to increase the security if you’re not sure if there are several copies of your keys. Use an AMCO Locksmith to make your home more secure by either rekeying or replacing your locks with up to date techniques and quality materials.